If you remember the KD 7 ‘What The’s that dropped in May, this pair was part high-brow and part-low. Think Mondrian meets New York City subway. These things were pretty dope. and let the creativity flow. When it comes to custom sneakers, Jordan’s are always going to be the go to. The problem though, is getting your hands on a pair of Jordan 1-11 takes work. Then on top of that, the rarer the model, the harder it is to come up on a pair. You can always resort to buying an old pair on ebay, but that might double or triple the time and money spent making them look good. So here’s an option: the Air Force 1. Think about it, the AF1’s are one of Nike’s all-time MVP sneakers. The silhouette is simple, but a fresh pair will always look super clean and crisp. 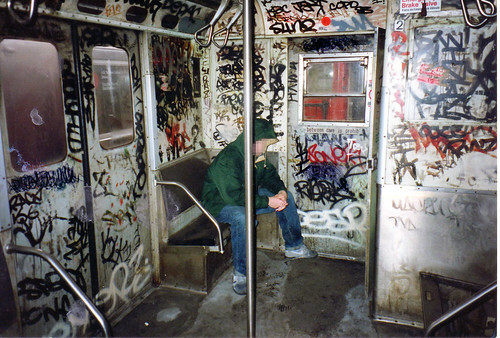 Think back, if you can to ‘02. A dude named Nelly (remember him?) and the St. Lunatics (remember THEM?) did a song about AF1’s, because, why not? Really though, check this out. Nelly and fam are rapping in front of a wall of AF1’s in what might be the baddest Foot Locker around. What's the word on this place St. Louis people? Does it exist? Mind you, these shoes had been out for a minute before Nelly dropped this track about his love for the AF1. And by a minute, that means 20 years. 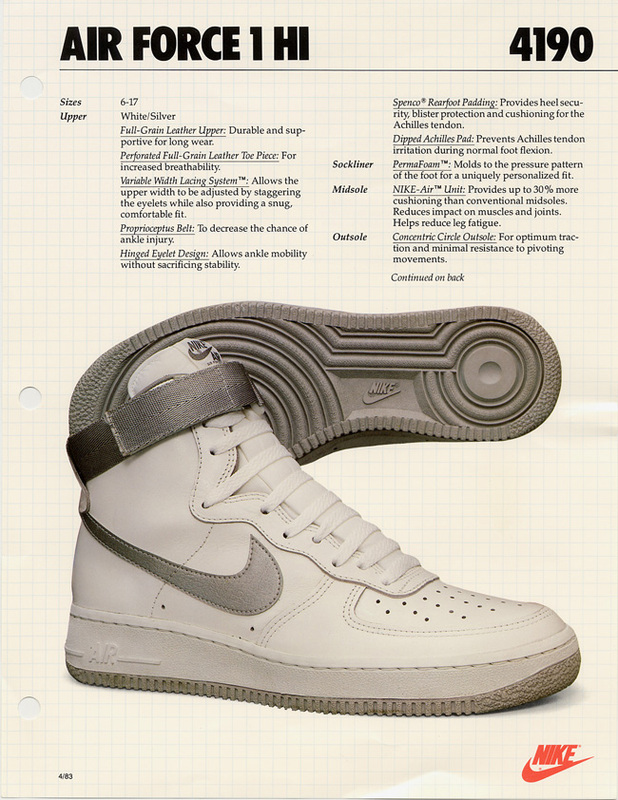 That’s right, the Air Force dropped in 1982 and was actually Nike’s first ever “Air” basketball shoe. 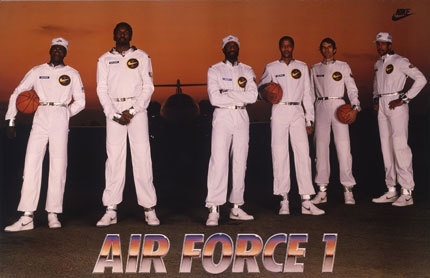 Initially, they were marketed with these badass jumpsuits, which may or may not be on the comeback. You’ll have to ask Drake about that one. After being discontinued and reintroduced a couple times over, that fire Nelly’s put down 13 years ago made it clear the AF1 was back. From 1982 to now, the AF1 has been the number one selling athletic sneaker, so you know it’s a classic. The nice thing about Air Force 1’s is the availability. You can probably pop into your local shoe store and pick up a pair of all-white 1’s, High or Low, with no hassle. There’s nothing worse than camping out, calling around, and going through the full hustle to cop a pair of shoes to have them sell out right under you. That’s why Air Force 1’s are so good for a customization. If you’re just getting into the custom game, a pair of AF1’s are accessible and won’t kill your wallet before you start. What’s nice about AF1’s is the amount of room you have to work with. Between the upper, the quarter, and the Swoosh, you have a lot of room to create. If you grab the Mid’s or the High’s you have even more room. Take a look at these custom AF1’s that Angelus-sponsored artist Zadeh Kicks made a little while back. Cork colored and red wine colored? Insane. But that’s just an idea of what you can do with a pair of AF1’s. If you’re working on a pair, or have a finished pair in your collection, let us know. We’d love to see what crazy ideas you’re coming up with. Extra points if you make a Nelly-inspired Air Force 1. Here’s the question, what do you think? Is the G.O.A.T. coloray Royal or the classic Bred colorway? This is a long debate because both colorways were iconic for the Jordan 1, have been retroed in the 2000’s, and are still one of the most coveted sneaker colorways out on the market. Much like the OG Jordan 1 colorway, the Bred, the Royal colorway dropped in 1985 and basketball fans and sneakerheads alike fell in love. These things flew off the racks like they $175 price tag didn’t even matter. And this was during Reaganomics, so you know people were down with this shoe. Any ways, now these things have a cult following and if an OG pair pops up in ebay, even if they’re like Size 15, people will drop a couple G’s on them. If you don’t have that kind of feta, here’s something you can do instead. Grab one of our premium custom kits for your sneakers and make your own pair of Royals. As you might remember from a couple weeks back, we talked about how to make your own Breds at our sister site Lace Lab. And now we thought we would do you one better, help streamline your Royal 1-inspired project with our Royal 1 Custom Kit. If you’re working on restoring a pair of Air Jordans Retros that might need some heavy TLC, why not do them up like the iconic Royal 1’s? Our Royal 1 Custom Kit has literally everything you need to wash, scrub, prep, and paint and create a pair of sneakers that look like they were fresh out of the box in 1985. Of course, repainting a pair of Jordans is only the first step. You spread this colorway onto any Jordans, any Nikes, or literally any other sneaker you can think of. Just check out these insane customs by Angelus Direct premier sponsored artist Mache Customs. They might not be “Royal 1’s” per se, but they influence is there. Here in Southern California, it’s been something like 100 degrees the past couple days. so it’s probably a good idea to break out a pair of shorts and low-tops. One of our favorite sneakers to wear when it’s hot are Jordan XI low tops. The XI’s are a modern renovation of the classic Jordan silhouette, and as a low top? These things are fire. The OG colorway, released in ‘95 as hi-top was dubbed the Concord. They were basically a (Concord) White with Black colorway. Next came the “Bred” colorway. Picture this, Jordan wore them throughout the ‘95-96 season, as the Bulls were on their way to beating the Supersonics for the Championship. People lost their minds over this thing! After the original, high-top XI’s came out, Jordan Brand dropped the XI Low in ‘96. And the colorway was, you guess it, a black, white, and red coloration. Fast forward many years and models and you get an instant sell-out whenever a pair, Low or Hi, is dropped. They’re a take on that OG Bred colorway with a little bit of swag thrown in with the touch of snakeskin. Check out Zadehkicks.com for more “Angelus Direct approved” custom work made with paint and products provided by yours truly! So you know the work is going to last. Plus, look at these things! They’re next level. With the Low XI’s you can’t go wrong over the summer with a lighter colorway, or white-base silhouette with color accents along the patent leather mid-sole. 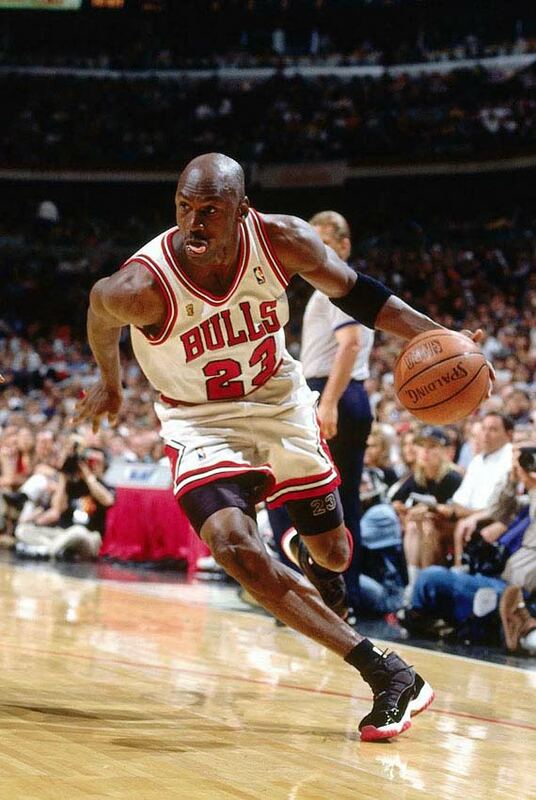 The XI’s were also the first Jordan’s to use patent leather. So when if you’re customizing a pair of these for the first time, be sure to take a peek at the super handy “How To” section on our FAQ’s page for extra tips and tricks. Either way, anything you do to a pair of Jordan XI’s is going to be an instant classic. These shoes were built for the GOAT during one of his greatest seasons, so you’re sure to kill it with a custom project. THese are Low’s that don’t feel too flimsy, and also give you plenty of space to spread your creativity on your canvas. So if you’re going to create something unique on a pair of Jordan XI Lows, good luck! This week marks the 25th anniversary of one of the unsung heros in the sneaker game—the Asics Gel Lyte III. These dropped back in 1991 as a beefy running shoe and have since gone through various tweaks and modifications. The modern versions of the Gel Lyte don’t really look like the colorful 90’s running shoe they once were, but either way, these shoes would be a great custom project. If you need inspiration, check out these custom Gel III’s that our homie (and Angelus Direct sponsored artist) Jake of Dank & Co back in January. Classic Black and Red colorway Jordan 1 colorway? Clean. Check out his site at www.jwdanklefs.com for other insane customs. This dude is a master for sure. Back to this 25th anniversary drop. Asics are the Japanese footwear giants and they teamed up with Tokyo-based shop atmos, the super OG streetwear and footwear purveyors for this collaboration release. You might think that putting Japan’s oldest sneaker company and one of their finest streetwear shops together for an anniversary release would be dope, right? Well that’s questionable. Admittedly, The 25th anniversary Gel Lyte III is pretty boring. It’s basically white-on-white-one white. If you wanted an a snowed out Gel Lyte, you could basically customize a regular, run of the mill pair with our Angelus White Paint and some White Laces from our sister company Lace Lab. Not that there’s anything wrong with all white shoes, put on all-white collob might be missing the point? Did each team come back with “all-white,” and they just went for it? But on the flip side, if you wanted to do something creative you could buy these and paint them. They’re already white, so that’s basically a blank canvas. You could throw it ALL the way back to 1990 with some wild 90’s colorations. Of course, these Gel Lyte’s are made with a high quality perforated leather, so that’s definitely an update. Unfortunately, you just can’t see that from far away. The sneakers won’t be out until next week, and that’s only in Japan. So if you were planning on picking some up, you have some time to consider what you would do with them. In the meanwhile, let’s celebrate 25 years of an underdog in the sneaker game, the Gel Lyte III.